A regional daily is giving away free classic pictures from its archives to celebrate an online milestone. 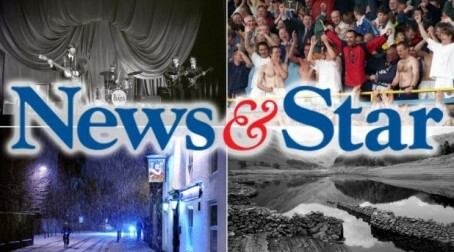 The News & Star, Carlisle, has announced the giveaway after revealing more than 9,000 readers have signed up for its daily email bulletin. The high resolution photographs will be given to subscribers to the newsletter, which is sent out every day at 3.30pm. Readers have a choice of four pictures, usually worth £19.95 each, to receive. On offer is a photo of The Beatles appearing on stage at Carlisle’s ABC Lonsdale venue in February 1963, Carlisle United footballers and supporters celebrating in May 1999 after goalkeeper Jimmy Glass scored a last-minute winner to ensure the club’s league survival, a shot of people making their way home through the snow in January 2009 or an image of the lost village of Mardale Green from a summer drought in 1984. The village was drowned in 1940 to create Haweswater reservoir. News & Star associate editor Chris Story said: “Our newsletter is already proving a hit with thousands of readers so we thought it would be nice to thank subscribers with one of these splendid pictures from our photographers.